A small window created by the curving walls of Antelope Canyon allow a peak at the glowing walls further down the canyon. In the lead up to this trip I was ecstatic knowing I would visit this location. As much as I had built this place up in my head, I was still not prepared for its beauty! 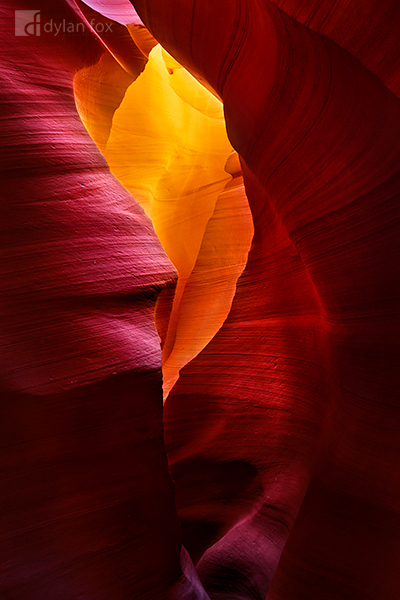 Secure your limited edition, Antelope Canyon photographic print, 'Heart of an Angel', by selecting your desired print size in the menu to the right.